To see a larger picture – left click on it! 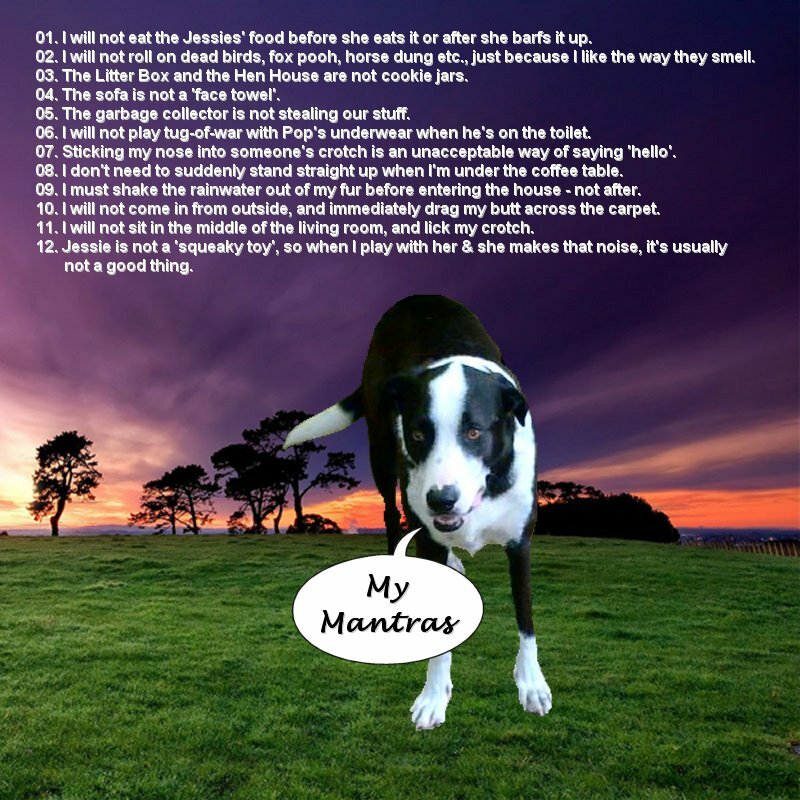 My darling furiend and employer on Twitter whispered to me the other day he had written down a set of Mantras which he was reciting to himself a few times a day in an effort to become the most purrfect dog on all of Twitter. So I thought I might help him a little by adding the following picture to my bloggie. Yes @PuppyNumber7 (aka Thomas) is indeed handsome, very special and I know how proud I am of him, as too is his Nan and Pop, for attempting this most difficult journey to ‘self-improvement’. Graeme the cat may not look anything special – but he has gained rock star status in his home town of Melbourne, Australia because he drops off and picks up his owner from the train station every day. Speaking to the paper, she said Graeme, who is believed to be about 12, had slept rough on the streets before being rescued by the RSPCA six years ago. He was about to be put down when he was rescued by Nicole and has lived a happy life ever since, escorting his owner to and from the station. Altogether now – aaaaw! This touching video by Brian Brown of Melbourne who advised “I suffered with anxiety and he (Rufus) helped me through it and I’m fully recovered,” has gone viral on YouTube since it was uploaded last weekend.